Our education/partnering program has four main components devoted to the transfer of science-based information to K-12 students and teachers, land management agencies and their personnel, other partner institutions, private land managers, international collaborators and institutions, and the general public. 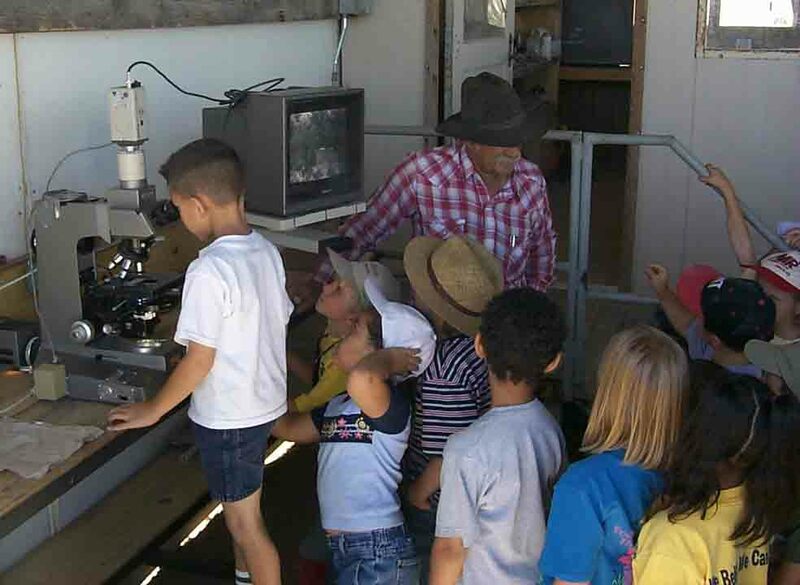 The Desert Data Jam, started in 2012, is the newest science education collaboration between Asombro and the Jornada, and met with tremendous success in its inaugural year. The program is devoted to encouraging high school students to utilize and communicate in original and creative ways any of the historic data collected from our research projects over the history of our science program. Projects, either entered as individual or team efforts, are competitively judged and students compete for cash awards. Project winners are announced in a ceremony at the conclusion of the academic year. use where they take current research being done, and have kids take part in collecting and interpreting data. Both of the applications and associated products are freely available on our website and actively updated and improved. These applications, and the many newer applications in development, are widely used by our partners and clients. These applications are results from our research program. Cooperative agreements with over two dozen collaborators, institutions, agencies, or land owner groups - In prior years our research unit maintained a focus group drawn from numerous client, partner, and stakeholder organizations that would meet annually to provide input and critical review of our research program. We have evolved this focus group into a number of separate cooperative agreements with each of these groups to more specifically address common needs and objectives. These cooperative agreements are listed at https://www.ars.usda.gov/research/projects_programs.htm?modecode=62-35-15-00. A number of new portals, with new useful applications, are under development. Some of the over 15,000 students participating annually in the science education activities organized by the Asombro Institute.